Turkish authorities have transferred the ownership of churches, houses of worship and cemeteries that have belonged to the Syriac community for over 1,600 years to Turkey’s Directorate of Religious Affairs (Diyanet) as part of a process of liquidation in Mardin province, Turkish-Armenian newspaper Agos reports. 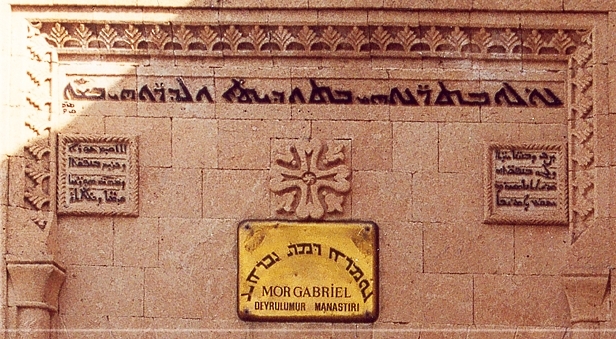 Some lands of the ancient Syrian Orthodox Monastery of Mor Gabriel, founded in 397 by the ascetic Mor Shmu’el (Samuel), are part the 50 churches and monasteries that have been seized by the Diyanet, according to Kuryakos Ergün, the Chairman of the Mor Gabriel Monastery Foundation. “It is outrageous and illegal that Syriac properties are seized in this way including historical churches, monasteries and other assets that are integral part of the social, cultural, historical, religious and architectural fabric of the whole region and not only for Syriac people but for all the peoples of the region,” Christian European political party ECPM (European Christian Political Movement) denounces. “Turkey must immediately reverse this decision and give back these historical properties to the Syriac people,” ECPM together with the European Syriac Union stated.